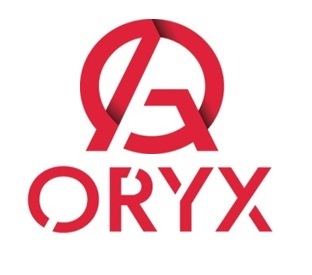 Oryx`s activities focus on the oil & gas, petrochemical and utility sectors. Success lies in spotting opportunities, understanding the market dynamics, local factors, and forging a well-conceived marketing strategy. PT Oryx Services specializes in providing professional consultancy services and Manpower supply to oil and gas companies. Over 10 years of stable growth, PT Oryx Services has maintained a high level of credibility and managed over 100 contracts to all major oil companies in Indonesia. Now, PT Oryx Services Indonesia are seeking for best candidates to fill the vacant position for our projects in Oil and Gas Company. Promote HSE Program to all team in operation project and major maintenance. Develop material procurement and delivery planning to meet operation projects schedule. Initiate purchasing request, coordination with engineering and procurement team to ensure technical specification has been accommodated. Do effort to expedite material procurement process and delivery to meet project schedule. Coordinate with project owner, engineer, planner and manager for any deficiencies related to material delivery. Communicate and advice project owner, planners and manager for any deficiencies related to material delivery. Report procurement and delivery status and provide advice for any materials delay. Provide feedback to project coordinator on cross functional work processes and practices that result in efficient work completion. Implements a work plan that meets equipment needs and supports the business plan. Participate to develop knowledge sharing. Share and seeks knowledge and practices globally. Uses plan to identify potential need for resources or lack of resources and leverage outage. Min. 3 years experienced in related field. Skills : SAP-MM (Material Management), Microsoft Office, etc. High safety responsibility to himself, co-workers, plant and associated equipment, and also participates in all company HSE Programs as required. Executes routine electrical maintenance tasks and routine electrical troubleshooting of process plant & equipment in accordance to the written procedures and company core values to maintain high reliability of the plant and to detect loss production capabilities and critical unsafe situations in order to be reported to the line supervisor in timely manner. Contributes as a team member in maintenance and operations daily activities to maintain production in safest possible manner. Maintain good housekeeping by performing regular housekeeping inspection in your area of responsibilities ensuring zero discharge to the environment. Train, coach, and mentor personnel, by giving constructive feedback to the individuals and reports to line supervisor on progress and be able to develop procedures on electrical instrument equipment maintenance. Maintain the equipment in achieving its optimum availability and reliability and in line with production planning. To perform and complete each of maintenance activity smoothly, timely and within budget, in compliance with company internal control. To perform and complete each of maintenance activity in safely manner and zero incident. Skills : Fluent in English both oral and written, Effective communication skills, strong interpersonal skill, etc. Maintain a high standard of work to allow the safe completion of electrical maintenance tasks, enable the continued operation and reliability, and participate in the safety culture within the group by working by procedures without deviation. Min. D3 in Electrical Engineering. Fluent in English both oral and written, Effective communication skills, strong interpersonal skill, etc. Planning/Coordinating daily tasks and activities by ensuring all Mechanical Maintenance Procedures and Written Instructions are followed and adhered to, in compliance with company core values to minimize loss production capability and reportable incidents. Regular monitoring of plant and process rotating and/or stationary equipment to maintain high reliability of the plant and to detect loss production capabilities and critical unsafe situations in order to be reported to the line supervisor in timely manner. Executes routine mechanical maintenance tasks and routine mechanical troubleshooting of process plant & equipment in accordance to the written procedures and company core values to maintain high reliability of the plant and to detect loss production capabilities and critical unsafe situations in order to be reported to the line supervisor in timely manner. Regular monitoring of process plant & equipment to maintain high reliability of the plant and to detect loss production capabilities and critical unsafe situations in order to be reported to the line supervisor in timely manner. Taking of and analyzing readings of process and equipment accurately. Monitoring consumable material and chemical stocks, ensuring all chemicals are handled properly and following proper instructions. Ensure all process and plant equipment are constantly operating optimally along with keeping personnel and equipment safety top priority, and participate in the safety culture within the group by working by procedures without deviation. Min. D3 in Chemical/Mechanical/Electrical Engineering. Effective communication skills and strong interpersonal skill. Perform interval inspection of HDE and lifting equipment by implement HSE standard, inspection procedure and guidance to achieve effectively and safely complete work responsibilities of self and others. Support to reach the target best availability and performance of HDE and lifting equipment. Control and monitor the schedule of HDE and lifting equipment inspection program to meet with procedure and guidance. Perform specific inspection by using proper specific tools. Takes a full perspective to make better action and decision during inspection. Takes ownership of action and follow through on commitments. Responds condition and positively when faced with new challenge and demand. Demonstrate a strong action to delivering result while inspection. Review, improve and implement the proper inspection check list. Continue demonstrate and understanding of hydraulic, pneumatic, electric and mechanic system of HDE and lifting equipment. Min. 7 years experienced in related field. Familiar and experience with hydraulic, pneumatic, mechanic and electrical system of HDE and lifting equipment operation. Pass Certificate from Qualified Independent party for internal inspection requirement, Migas Crane Inspector in addition to conduct inspection related with government regulation. Perform assessment on lifting location, lifting equipment to be use, load to be lift to define safe lifting method. Prepare lifting plan by close coordination with lifting coordinator. Prepare document Permit to work of lifting operation. Preformed pre use inspection of lifting accessories and close coordination with crane operator to ensure crane in good condition prior lifting operation. Lead lifting activities as work leader. Manage rigging loft container by ensuring proper inspection, storage and issued return registering of lifting accessories. Perform regular maintenance of lifting accessories at rigging loft container. Takes a full perspective to make better action and decision at rigging loft container. Demonstrate a strong action to delivering result while perform lifting activities. Has initiate to searches and implements new ways of doing safe lifting practices. Min. 5 years experienced in related field. Familiar and experience with pre use inspection lifting accessories, best safety lifting practices & lifting by crane. Review contractor proposal for construction work based on project scope, engineering, contract rate and approved AFE. Monitoring contractor readiness prior to execution resources, procedures, equipment, material and other preparations work. Supervise contractor construction team to execute Operation projects and program as planning, budgeted, schedule and procedure. Resolve construction issue related to resources, technical, facility sharing, permit to work, etc. Control and report construction activities in regular basis. Maintain engagement with site stakeholder (Operation, Planner, Maintenance, Engineering, SS and HSE, etc.). Support project management team to handle AFE process. Contribute on project lesson learnt for continuous development. Min. Bachelor Degree in Electrical/Instrumentation. Work experience : Min. 5 years experienced in related field. Fluent English both oral and written, Microsoft Office, Strong interpersonal skill, Strong technical and analytical skill etc. Thanks for reading PT Oryx Services Jobs: 8 Positions. Please share...!